The legal profession was one of the early adopters of office automation technology; however, many law firms now find themselves managing an IT infrastructure that dwarves the total compute power NASA had to send a man to the moon. With an average life span of five years, this infrastructure needs constant care and feeding. This is why many law firms are turning to the cloud for relief. By off-loading the burden of purchasing, implementing, maintaining, and replacing these systems every five years or so, law firms can now get back to doing what they got into the business for in the first place—practicing law. So how do lawyers save time and money with the cloud? Sure, we’ve all been working from home or hotels for several years now. Services like Go to my PC have made it easy. But today’s security concerns are far too great to take the chance that the firewall in your office or the protection on your PC is adequate. By placing your systems into a hosting facility, behind a professionally managed firewall with full intrusion detection and prevention, law firms can feel confident that the proper level of security is in place to allow them to be productive while on the road, at home, or in court. Two-factor authentication (password and token) can also be implemented easily and inexpensively in this scenario. Many of today’s cases involve electronic information. 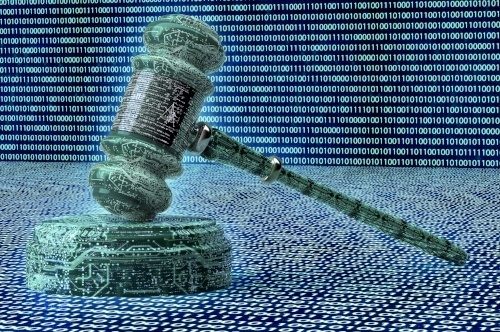 Law firms must comb through Gigabytes and even Terabytes of data looking for evidence for use in a trial. That information must be stored for a period of time, but once the case is complete most of it can be deleted. Law firms are finding themselves having to maintain a large amount of storage for these scenarios. Depending on the case load, the storage requirements may grow and shrink over time. In many cases, this leaves a large computer asset under-utilized for large periods of time. Cloud services allow the law firm to pay for only those resources they need at any given time. 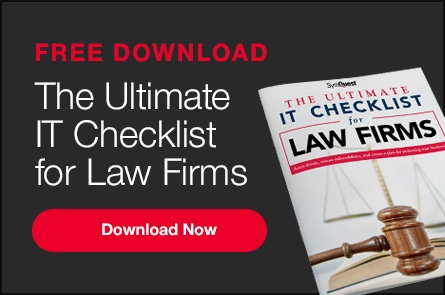 Few law firms can afford to implement an IT infrastructure that is fully redundant and can withstand, not only a failure of the server, but the complete destruction of the office. When a simple failure of the server occurs, lawyers may not be able to bill their time. In a large office, even a short outage can cost tens of thousands of dollars. Cloud services companies typically offer uptime guarantees (Service Level Agreements) of from 99.9% to 99.999% uptime. This maximizes every lawyers ability to bill their time. Increasingly, potential clients are requiring the law firm to prove that their network security and compliance is adequate to safeguard their data. It is common for a firm to receive a questionnaire with over 100 questions regarding their computer security and information handling practices. Each time, the office manager must spend time answering the questions on the questionnaire instead of performing their primary function. Many cloud services companies can provide a SOC II Type II audit that directly addresses most, if not all, of the concerns raised by potential clients. This allows the office manager to attend to more pertinent duties within the firm. One thing that has not changed is the need for lawyers and clients to exchange documents frequently during their transactions. The days of simply emailing documents unencrypted over the Internet is over. Security concerns and file size restrictions simply don’t allow it. The introduction of services like Dropbox and One Drive for Business (both cloud based services) has made the transfer of files much easier for law firms. Any firms exchanging highly sensitive materials such as HIPAA related information, IP, or any other regulated information should consider more specialized services such as Citrix Sharefile. These services provide enhanced security, more granular control, and Audit capabilities not typically found in the more commercial services.